"Don't let your house boss you around....Just because an architect wrote "guest bedroom" on a blueprint back in the day doesn't mean that's how a space should be used. Hello, news flash: it's your home. Think of all the rooms in your home as open to interpretation...Customizing your home is limited only by your imagination." 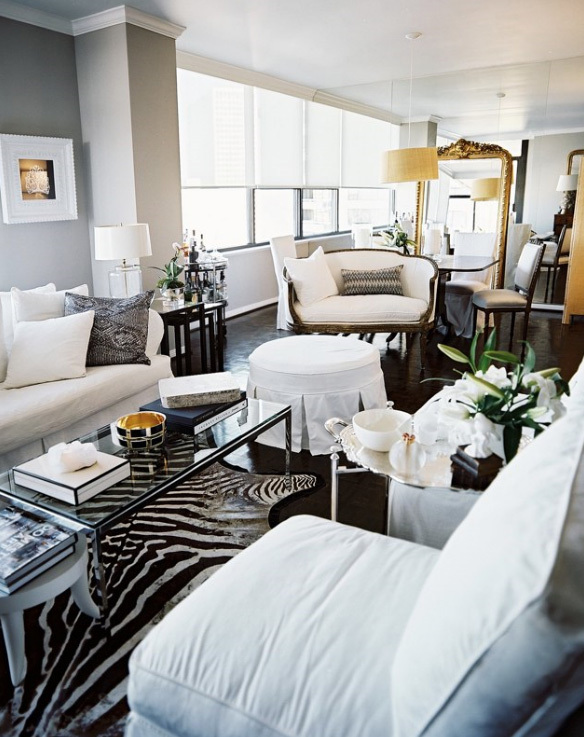 Great quote and i'm LOVING the zebra print rugs! I'm a huge an of Thom Felicia and love that quote. The rooms are just as lovely! I love this quote! 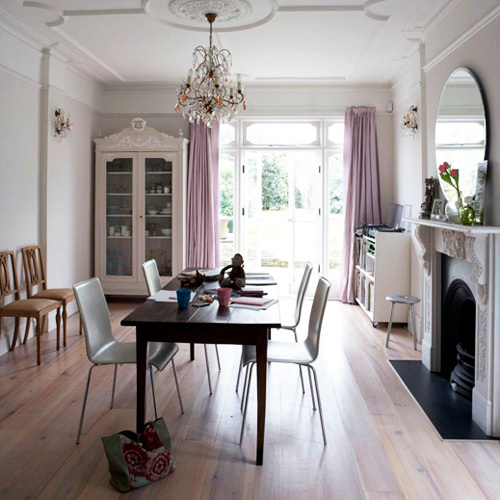 That dining room with the long floating shelves is just so perfect. I've been trying to find something for my dining room and this might be exactly what it needs! Amazing quote and great photos! So glad to have found your blog and be a follower!! Amen, sister! I'm converting my open-concept dining room into a library. I'm all for shaking things up! The last photo with the bedroom and sitting room is amazing. I have a very similar arrangement in my home, but I just can't seem to get it to work as nicely as that looks...guess I'll keep trying and being inspired! The third picture, I'm moving in, it just looks so inviting! Also, I absolutely adore all the zebra print rugs. what a fabulous quote! that may be my favorite of the one's you've posted yet. and these spaces...i really am drawn to the table space with that super creative rug underneath, the one with the script all over it. i could hang out there for quite a while flipping through all of those books! love that quote! these images are really great. 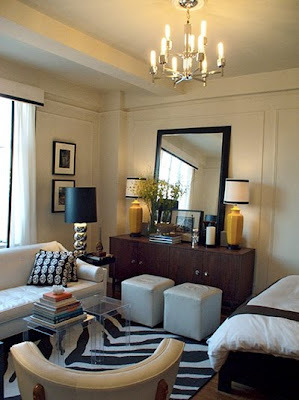 bookcases are decor is what i see here...just LOVE it! I wish to have a super large WALL of books someday.